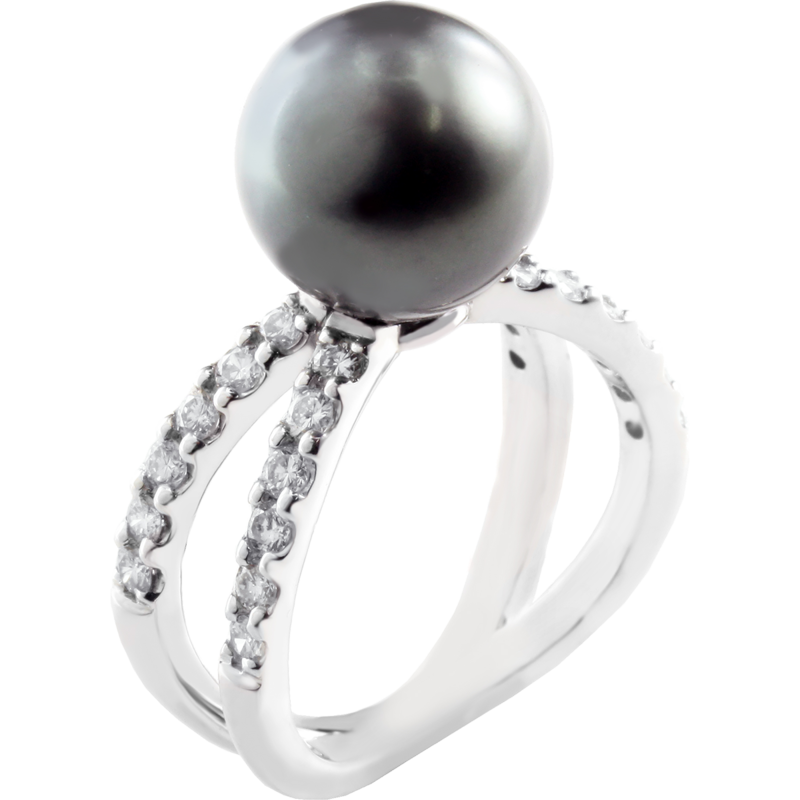 Beautifully set diamond pearl ring. With 11mm Round black Tahitian Pearl. Designed and made by BB Designer Jewellers.